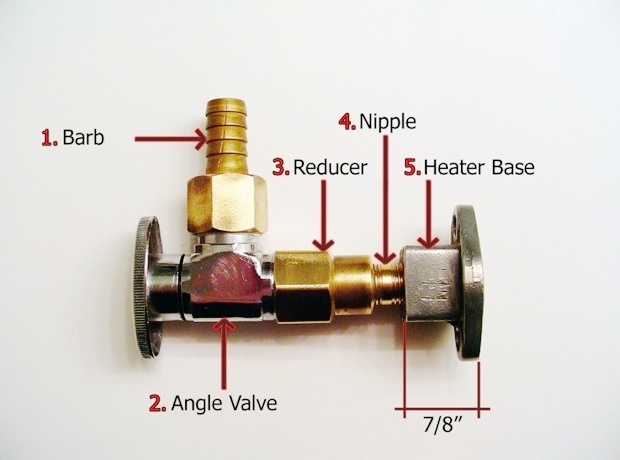 This is a simple heater valve I made from plumbing parts you can buy from any hardware store. It eliminates the stock failure-prone valve with a higher flowing, more durable plumbing valve. Like other designs, it doesn't allow you to control the temperature of the heater from inside the car, but I've found that just leaving it on when I want heat and turning it off when I don't works fine. 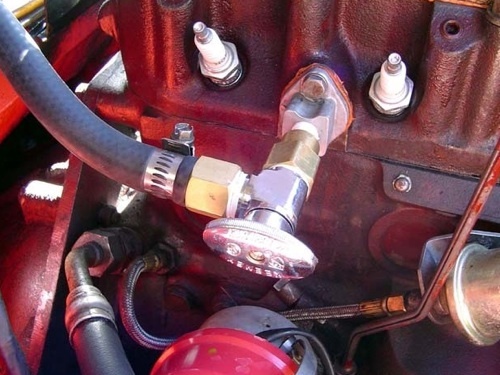 It requires you to cut the base off a stock valve (preferably, your old leaky valve that you were going to throw out anyway) and thread it so the other parts can screw in. You'll need a few tools, but the process is very simple and anyone should be able to do it. Note: I bought all the parts for my heater valve from Lowe's and therefore all the part numbers are from their products. You can of course find the parts at nearly any hardware store. Cut base of heater valve off with saw. Sand smooth. Enlarge hole in base with 7/16" drill. Tap base with 1/4"‐18 NPT tap. Assemble all pieces using Teflon tape on the threads. 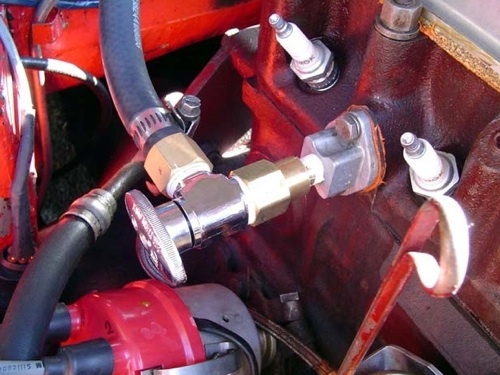 Install valve onto engine with gasket and sealant, and connect heater hose from heater core to 1/2" barb with a hose clamp. Start the car, warm to normal operating temperature, and check for leaks. Comments on "MGB Quarter Turn Heater Valve"
build this one, and use it when my new valve fails (which I know it will). I might just add that the easiest way to do this is to install it one piece at a time. 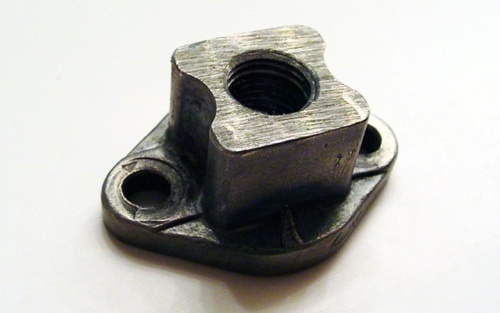 By putting the base (of the old valve) on first, and by itself, it allows easy access to that pesky bottom bolt. Then build the rest of it as you go along.Plus, it enables you to get the angles you want.